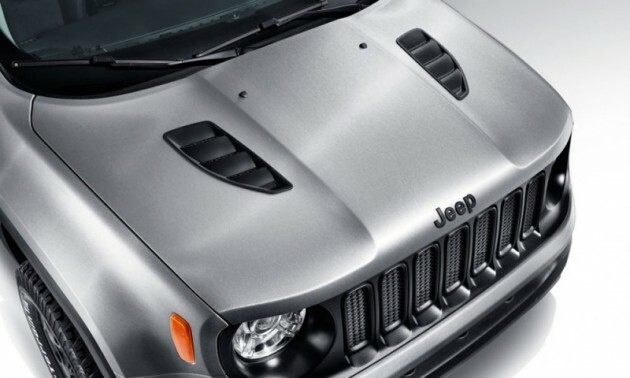 [PHOTOS] Did You Miss the Jeep Renegade Hard Steel Concept at Geneva? Press days at the Geneva Motor Show saw a number of big reveals: concepts from Nissan, Volkswagen, and Infiniti; the long-awaited Porsche 911 GT3 RS and Honda Civic Type R; the elegant Mercedes-Maybach Pullman; and much more. 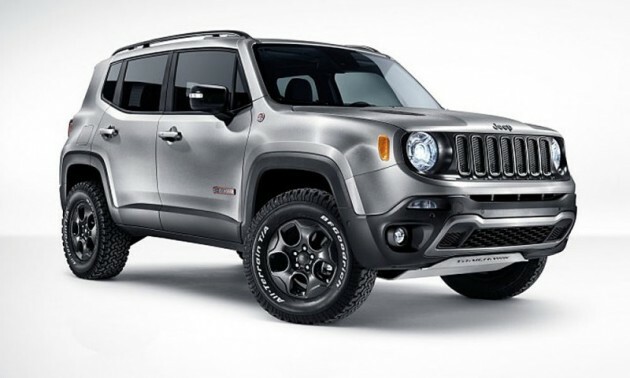 All the big model unveilings stole the spotlight, however, and the Jeep Renegade Hard Steel Concept, pictured below, just slipped by without its due recognition. 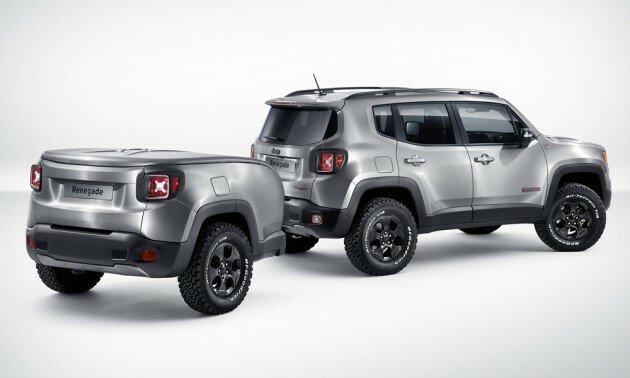 What makes this concept so endearing is the trailer that looks exactly like the rear of the Renegade, like some magician just sawed it straight in half and hooked it up to a fully intact model. No, seriously, look how much detail was put into it. It even mirrors the Renegade’s fuel door on the passenger side. 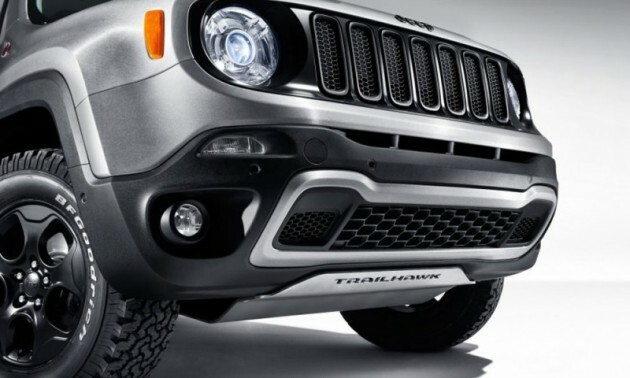 The Jeep Renegade Hard Steel Concept is specifically based on the Trailhawk model and wears a unique silver paint. Other special design features include a matte black finish for a number of components, including the 16-inch alloy wheels, bumpers, grille, hood vents, rocker panels, and roof rails. The brushed steel look of the exterior continues inside on elements such as the air vents, glove box, shift console, and speakers. Frau Century leather (lead-colored and given a “lived-in” look) is used on the seats and doors. The concept also has the latest technology, including the soon-to-arrive Uconnect LIVE service (European markets only). 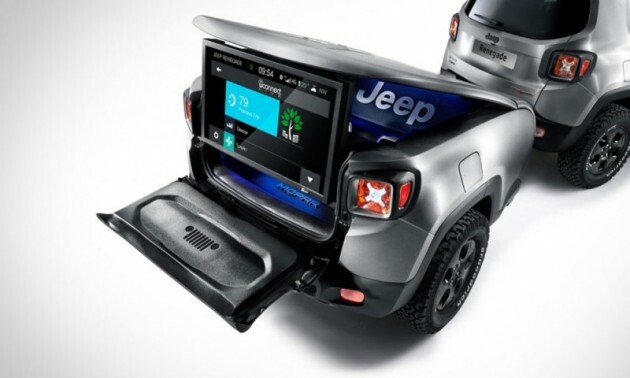 The trailer itself features a Mopar Wi-Fi system, meaning it’s a mobile hotspot for the whole family to use—because what’s camping without a bunch of TVs and cell phones?